My role became more clear as I fully embraced my natural energy and ability to get others excited about trying something new. 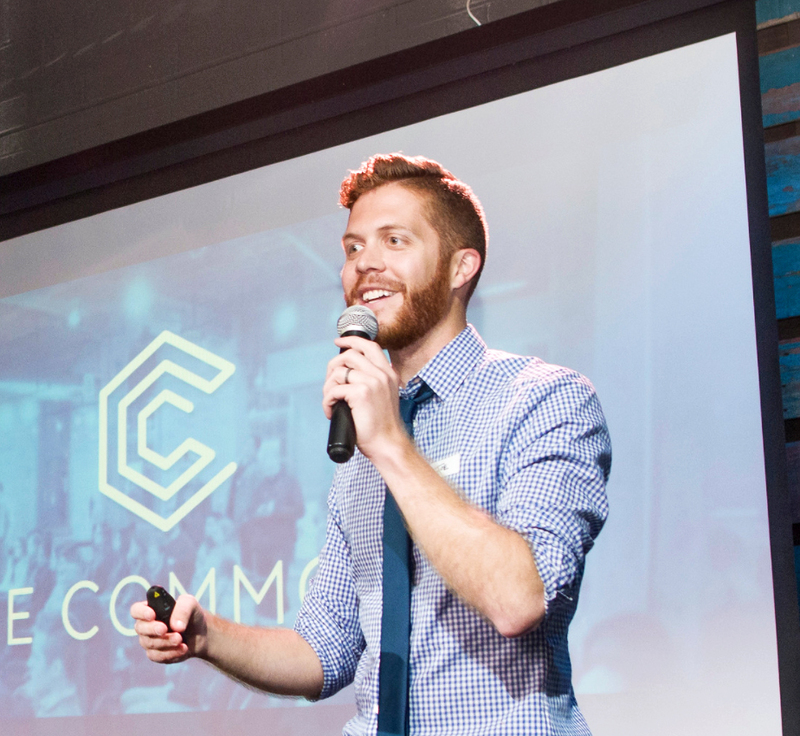 Now, as program director and co-founder of The Commons, I share that passion and enthusiasm with students and engage with local leaders to create more opportunities in the space between academia and industry. What is the biggest challenge you face in your ecosystem? This past spring, we’ve started to be more vocal about The Commons and what we’ve been observing in Southeast Wisconsin. This has gotten us an audience with US Senator Tammy Baldwin, State Senator Alberta Darling, Lieutenant Governor Rebecca Kleefisch, and several local mayors and county executives. We also recently presented at an informational hearing with Wisconsin’s Jobs and Economy Committee, which was one of the more unusual experiences in recent memory. All of these meetings have helped us better understand how our program fits with some of the state’s needs and strategic vision and have led to new introductions to key stakeholders in new communities. Absolutely! In the tech space, the folks at Bright Cellars, Scanalytics, Lumanu, ZoomShift, Rent College Pads, Wantable and many more are doing awesome work. The Milwaukee area is also seeing significant startup growth around sectors like water tech, biohealth, next generation manufacturing, food/beverage and automation. All of this rolls up into a region with a vibrant economy and opportunities for talent to do impactful work.